This first blog is a follow up on discussions around the future production of the world four top oil exporters (Iran, Norway, Saudi Arabia and Russia) that have been posted recently on theoildrum.com: Hubbert Linearization Analysis of the Top Three Net Oil Exporters. 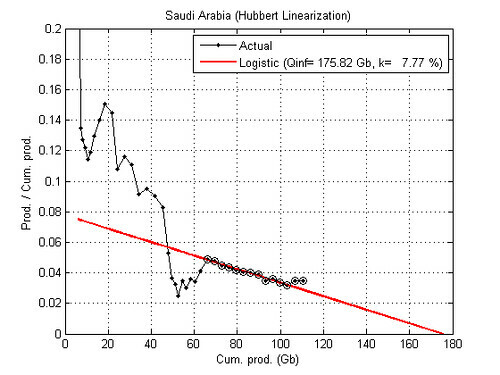 The Hubbert linearization technique is applied on Saudi Arabia, Norway, Iran and Russia from which I derive the URR (Qinf) and the growth rate (K). 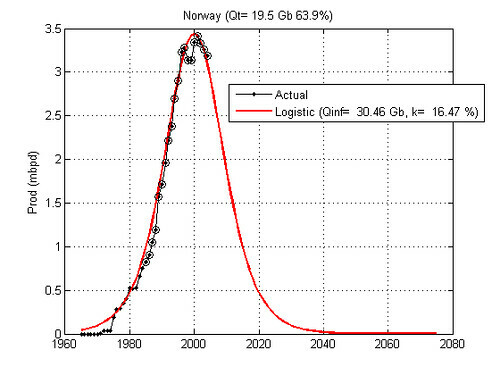 The resulting logistic curve is then shifted in order to match the last production level (2004). 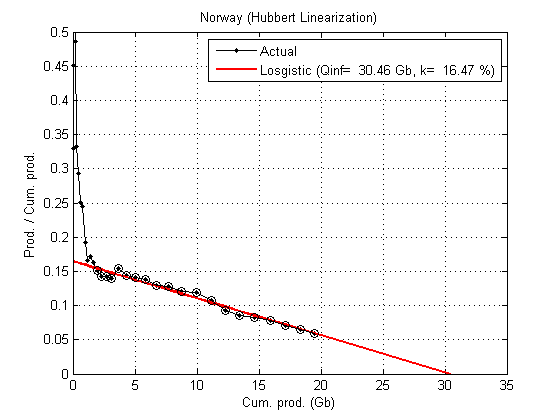 I note Qt the cumulative production in 2004. 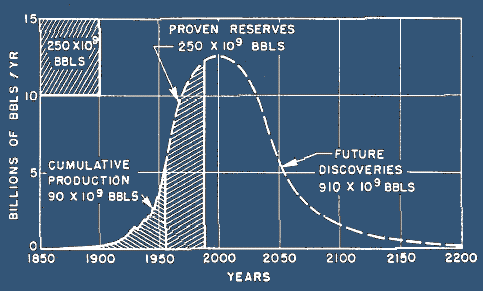 The production data comes mainly from the BP statistical review which gives data from 1965 to 2004. Cumulative production values (Q) are corrected for missing pre-1965 production data. 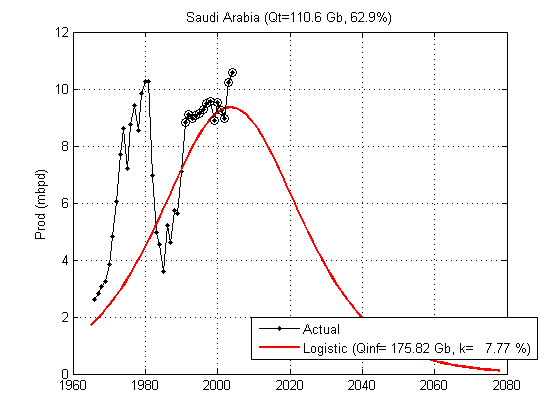 Fitting a logistic curve on Saudi Arabia production is quite difficult because production was constrained by quotas and political interventions (embargos). 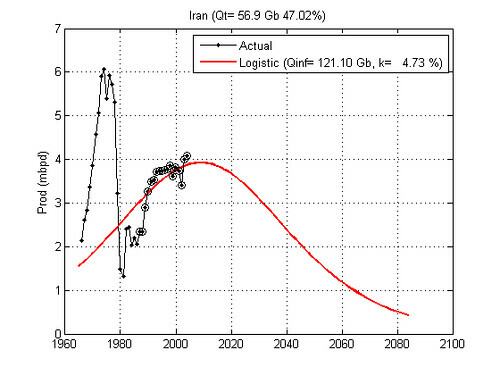 The circled data points are those used for the logistic fit. 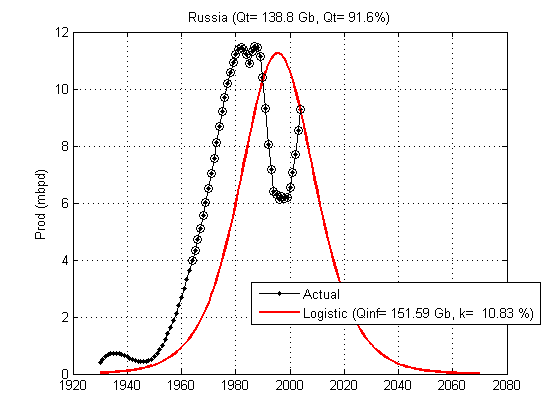 Russia is also quite a difficult case because of the production collapse in the 80s and the strong rebound in the late 90s. 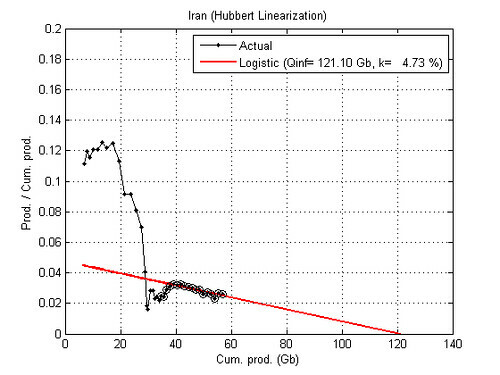 The summation of the 4 production profiles is given below and is obviously pessimistic. 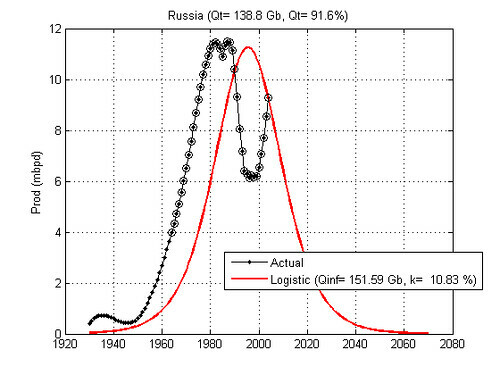 The main reason is that Russia is predicted to collapse in 2005 which is obviously not the case. Production forecasts for Norway and Iran seem realistic and their URR are near the ASPO estimates. 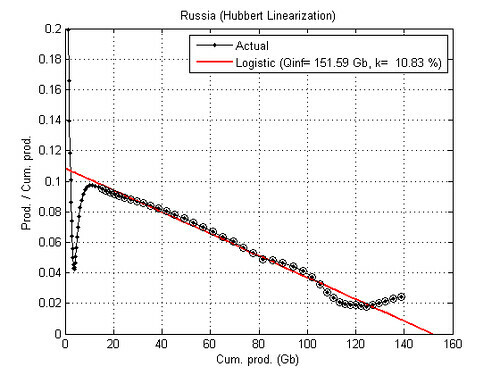 A more careful modeling of the Russian multi-peak production is necessary... more to come.